A Belgian anti-terrorism judge on Monday (23 November) charged a suspect with involvement in the Paris attacks, the federal prosecutor's office said Monday evening, while authorities maintained the highest threat level in the country. Authorities did not name the individual, who is the fourth person to face charges in Belgium over the 13 November attack in the Fench capital. 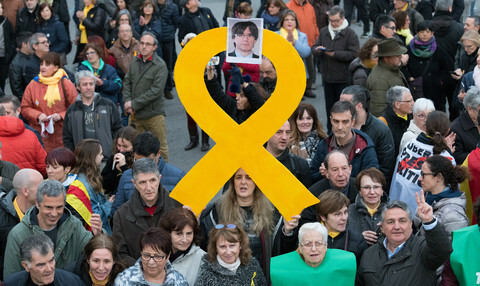 The prosecutor also announced police have released without charge the other 15 people they detained on Sunday night, and two of five picked up this morning. In 22 raids late on Sunday 16 people were detained. 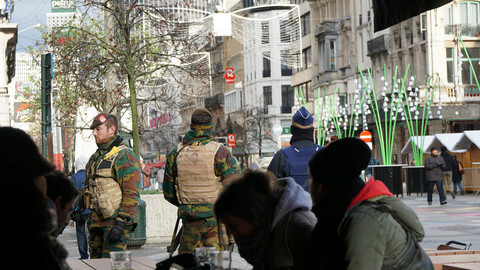 Five more people were arrested during searches of seven houses in Brussels and Liege early on Monday. But police did not find Salah Abdeslam, whose brother blew himself up in the Paris attack, which left 130 dead 11 days ago. Belgian authorities will maintain the highest threat level in the country for fear of a Paris-style attack until next Monday. 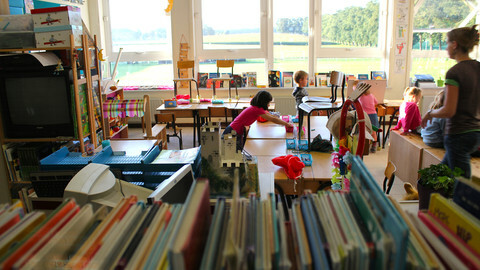 Schools will reopen on Wednesday. 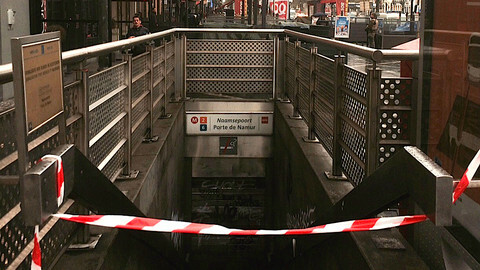 Authorities intend to reopen the Brussels metro the same day. "Potential targets are the same: public transport, shopping malls," said prime minister Charles Michel at a press conference after the National Security Council met for over three hours on Monday afternoon. "We want to gradually return to normal life,” he said. Brussels spent its third day under lockdown on Monday, while the manhunt for Abdeslam continues. Universities and schools remained closed, as did many shops and the metro. Concerts were again cancelled. 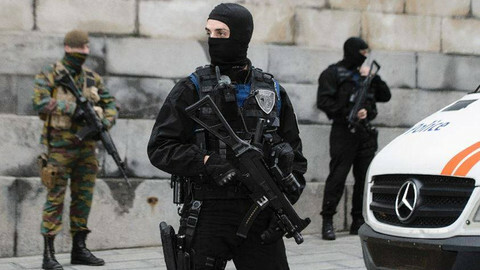 Around 1,000 armed officers patrolled the quiet streets in the EU capital. Several houses were raided in the Molenbeek district of Brussels, the home of two suspects in the Paris attacks. 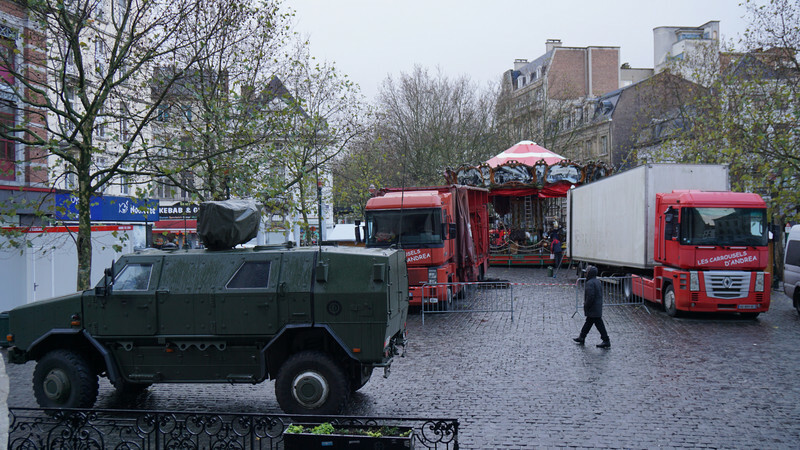 Locals say police rounded up friends and associates of Abdeslam. One of the raids took place on Rue Ransfort, where locals said a 29-year old man was taken away by police. 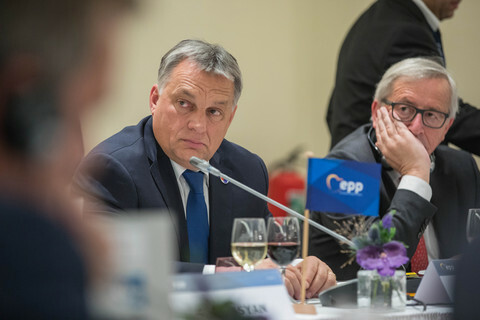 His father, who asked not to be named for fear of reprisals, told EUobserver on Monday that police stormed into the house on Sunday evening around 8pm, told him to go back to his apartment and took his son. “They never told me why. I am looking for a lawyer now,” he said. The man, of Moroccan descent, who said he lived in Belgium for five decades, claimed that his son, whose name he also did not want us to reveal, was a friend of Abdeslam, but had nothing to do with the Paris attacks. 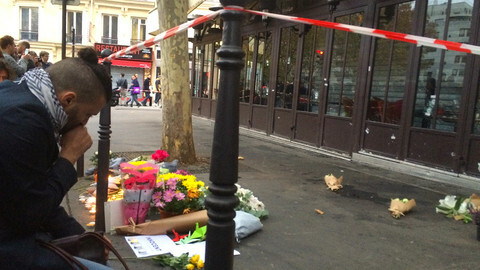 Another local, who was a schoolmate of Abdeslam and also wanted to remain anonymous for fear of the radicals in the neighborhood, said she knew Abdeslam as a “calm, nice kid” and was shocked to hear the news of the Paris attacks. “These radicals brainwash people,” she said. “Now everyone is suspicious of the other in the neighborhood, guessing who could be a recruiter for jihad. It’s not like all of them have long beards. They look like us,” she added. “People here are on the edge,” the woman said. On Rue de Carpe, police on Sunday night stormed a house, where Abdeslam’s aunt and uncle live. The door to the three-storey building was smashed and replaced by Monday with a wooden plank. A neighbour said there were at least 50 police in masks and assault rifles storming the building. “They didn’t ask a thing, just rammed through the door,” she said, also asking for anonymity out of fear of what she called “Syrians” - radicalised people returning from the Syrian battlefield. 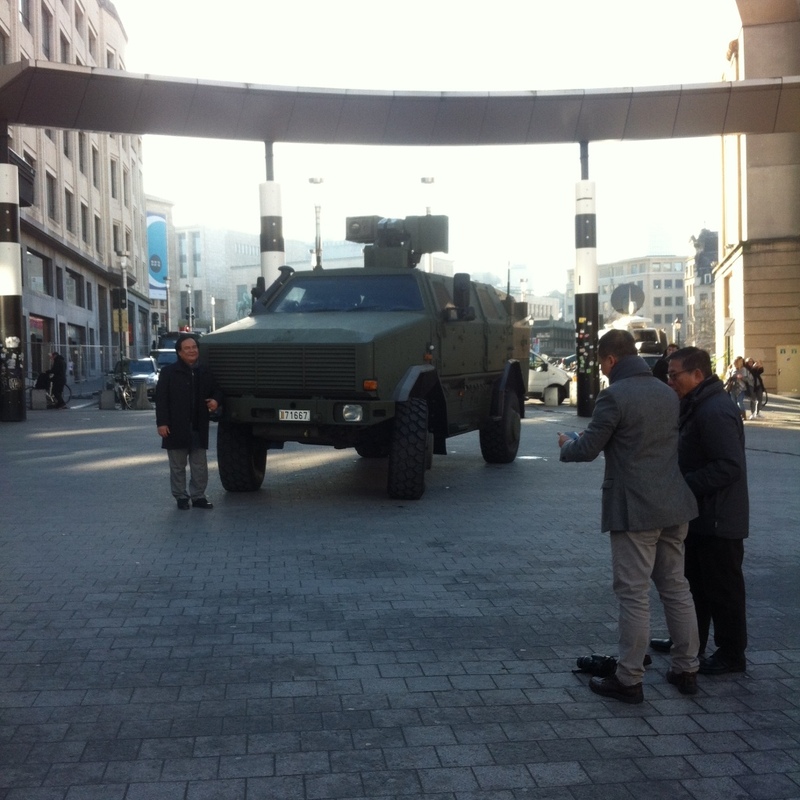 Meanwhile, downtown Brussels lived up to its surrealist heritage on Monday as camera crews, military personnel, and tourists mingled in the streets. In front of the central train station, which was open throughout the day, tourists were busy taking selfies with the armored personnel carrier stationed outside, as a violinist played Johann Strauss’ Blue Danube waltz. “I am not afraid. I feel safe. As you can see, there is lots of police and army,” said Le Thua, 41, a visitor from Vietnam, who stayed in Brussels over the weekend. “There are a lot more people out today. Yesterday it was very quiet. No-one dared even to laugh,” said Sara Khalifeh, 25, a tourist from Chicago backpacking in Europe, who arrived in the Belgian capital on Saturday, the day the top-level threat alert was first imposed. “I feel safe. You can't let this stop us. 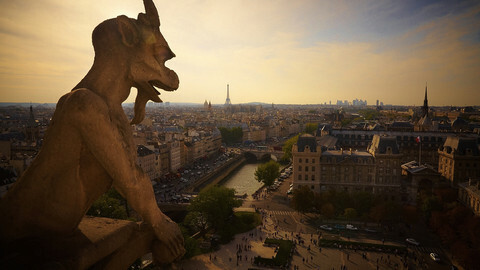 I’m glad I came,” she said, standing on Grande Place, the tourist heart of the city. She added it would be a shame if European countries chose to close their borders in the face of the terror threat. “Open borders is the greatest thing about Europe,” she said. Belgian PM: "Precise" intelligence of terrorist plot using “guns and explosives” prompted security clampdown in EU capital. In the wake of the terror attacks that killed at least 129 people Friday, Parisians pay homage to the dead and, 10 months after the January killings, wonder what will come next.